We have them all, from hostels and homestays to 5 Star luxury. Amsterdam is the largest city in the Netherlands. (Holland is a region of the country.) There is much to do and see in this surprisingly compact city. To make the most of your trip, you’ll want to look over our budget hotels in Amsterdam, so you have somewhere to stay as you explore the streets and canals of this amazing destination. There are many museums covering Dutch history, culture and art. The Van Gogh museum contains so many recognisable works and the nearby Rijksmuseum contains paintings by old masters such as Vermeer and Rembrandt. Book tickets in advance to avoid the long queues at the Ann Frank House Museum. There is a huge range of hotel accommodation in Amsterdam and you a sure to find something to fit your travel budget. Even 5 star and luxury hotels offer deals and discounts to fill rooms at quieter times of year. Try our search box and choose “price” as the sort order and you may be surprised by what fits your budget. Enter the dates of your stay & click the button to see Amsterdam hotel deals. There are hotels to be found in Amsterdam for every category and for every budget. There are luxury 5 star hotels such as Pulitzer Hotel on the Princes’ Canal the Grand Hotel Krasnapolsky right on Dam Square. Your usual chain business-type hotels tend to be located away from Amsterdam City Centre but you can find a Doubletree by Hilton near Nieuwmarkt and a Radisson Blu Hotel in the same district. Such branded hotels may have special discounts or chain-wide special offers – especially on weekends. Highly rated budget hotel options include The Student Hotel Amsterdam City, located to the east of the centre. Also well regarded is Hotel De Hallen to the south west of the centre. 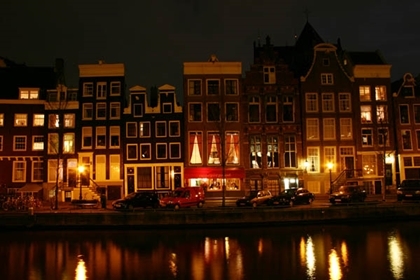 Search our listings of Budget Hotels in Amsterdam for current availability and live pricing.